Bradley Wiggins bolstered both his lead in the Critérium du Dauphiné and his prospects for the Tour de France when he smashed today’s stage four time trial between Villié-Morgon and Bourg-en-Bresse. 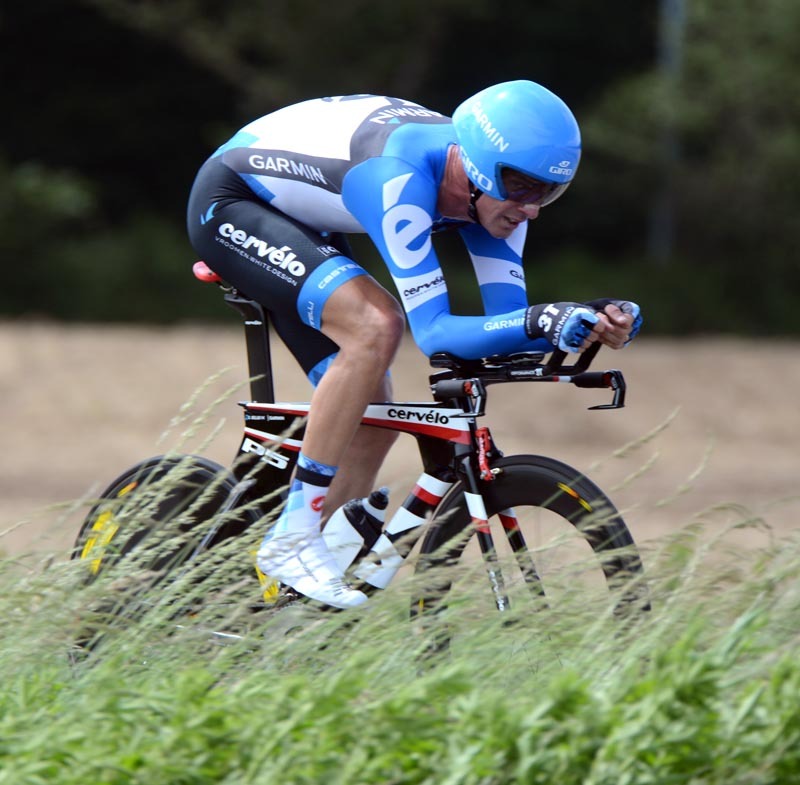 In what was one of his most convincing performances to date, the Team Sky leader claimed the scalps of current and former world time trial champions Tony Martin and Michael Rogers. 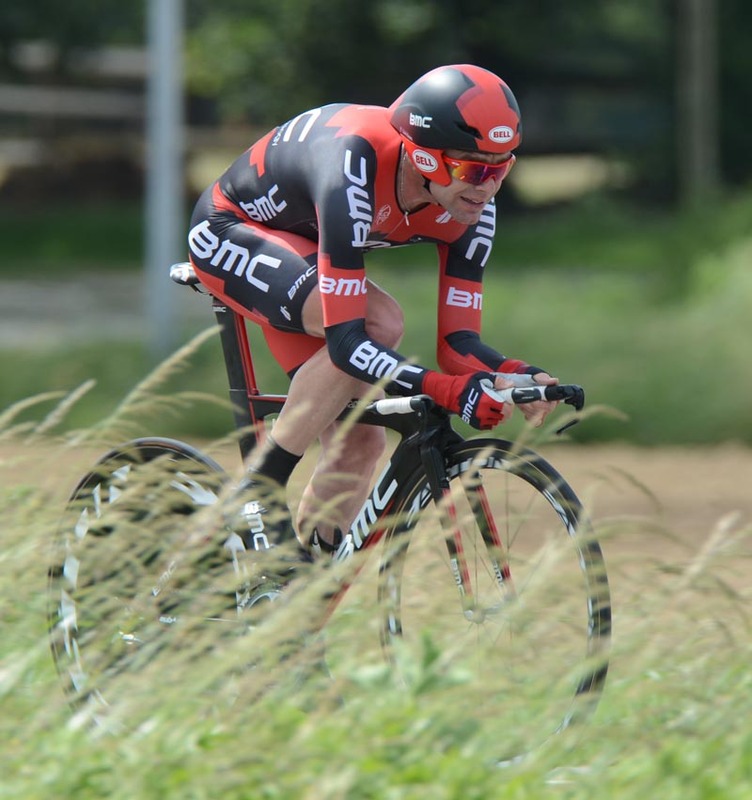 He even came close to catching reigning Tour champion Cadel Evans for two minutes in the final 10 kilometers. Already in the yellow jersey of race leader, his stage victory and 36 second winning margin over Martin means Wiggins extends his overall lead from a mere one second over Evans to 38 seconds on Martin ahead of three final stages in the mountains. Should Wiggins successfully repeat last year’s overall victory, it will be the icing on the cake to an almost flawless build up to the Tour in which he has also won Paris-Nice and the Tour de Romandie. While Wiggins has always excelled against the clock, today’s test gave him good opportunity to measure his time trialling condition against that of some key rivals for the Tour. Although not the precise dress rehearsal that last year’s Dauphine time trial was, today’s route matched this year’s Tour final time trial in Chartres for it’s relatively mild profile and 53.5km length. At the line Evans had conceded 1-43 to Wiggins. Vincenzo Nibali lost 3-30 and Andy Schleck over 10 minutes after suffering a crash. 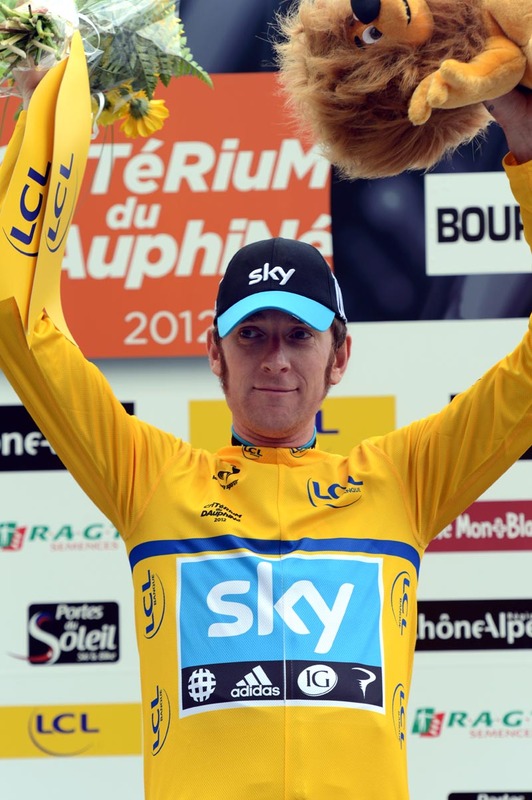 On top of Wiggins’ win, it was an all round successful day for Britain and Team Sky. 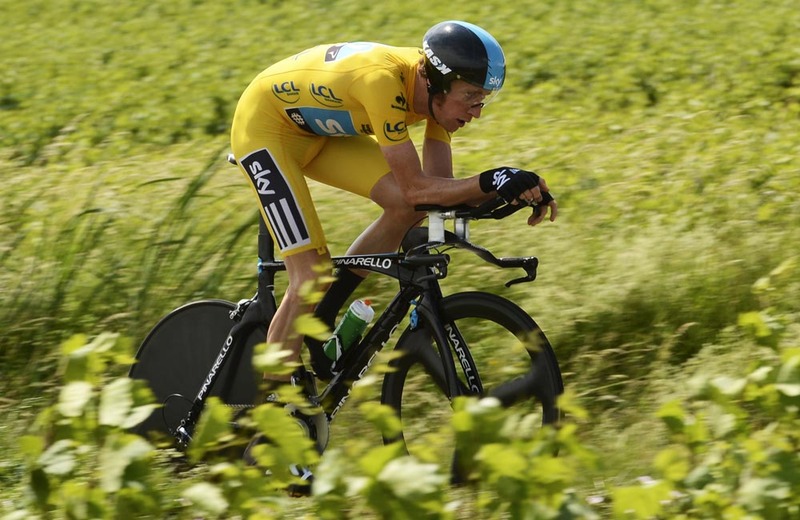 Chris Froome and David Millar also finished in the top ten, while Sky placed a total of five riders in the top 20. Last man to face the starter and despite his skinsuit woes, Wiggins got off to a steady pace, passing through the first time check in third place behind Martin and Sylvain Chavanel. However by the second check at 40.5km, Wiggins had upped the pace and moved onto the top of the leaderboard, 36 seconds ahead of Martin and 1-01 ahead of team mate Michael Rogers. Although Wiggins soon after brought Evans into his sight, he couldn’t quite deal what might have been a massive psychological blow in passing him. Nontheless, for the time being, the upper hand remains clearly with Wiggins.